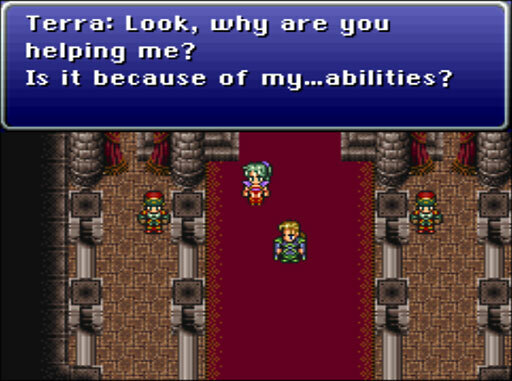 This is the first time when Terra really starts to assert herself. Despite years of mental servitude, she isn’t stupid. She picks up on the fact that Edgar wants to exploit her powers as the Empire did.